The Transportation Security Administration says a 20-pound (9-kilogram) live lobster has been spotted in a passenger's luggage at Boston's Logan International Airport. 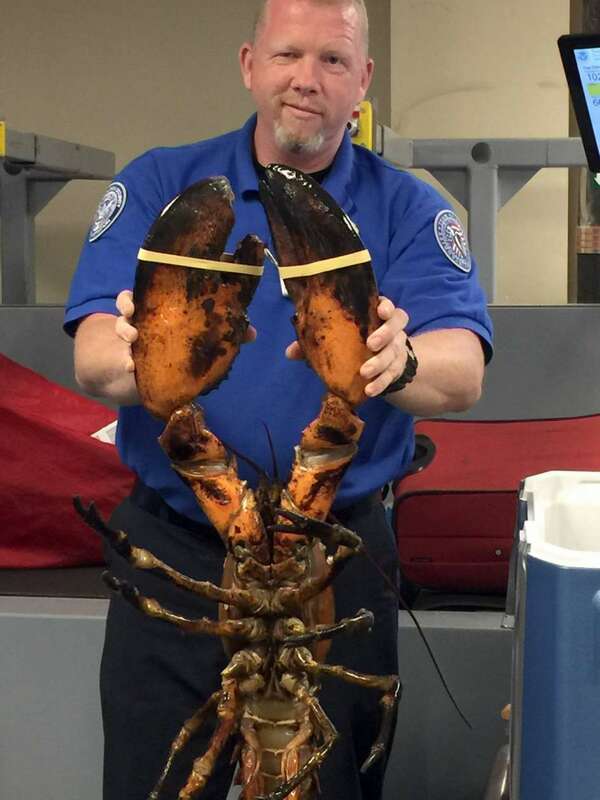 TSA spokesman Michael McCarthy says the lobster found Sunday in the passenger's checked luggage at the airport's Terminal C is the "largest" he's ever seen. McCarthy says the TSA doesn't prohibit transporting lobsters. The TSA website says a live lobster is allowed through security but must be transported in a "clear, plastic, spill-proof container." McCarthy says the lobster was in a cooler and "cooperated quite nicely with the screening process."